Use the Amazon App to scan ISBNs and compare prices. Book Condition: Publisher: Vanwell Publishing Ltd. Comment: Publisher: Vanwell Publishing Ltd.
Access codes and supplements are not guaranteed with used items. Ships from and sold by fortressbks. In the Second World War the Canadian Navy embarked on a five-year anti-submarine offensive with a tiny fleet of six destroyers and a navy largely untrained in submarine warfare. This chronicle of ship successes and losses charts the increase in fighting capability of the Canadian naval forces and their growing success against enemy submarines and surface warships. The information provided in each account represents comprehensive research into the incident from available records and from personal recollections and interviews collected by the authors. 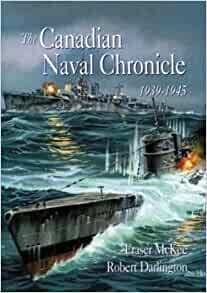 This book also contains, for the first time, a complete record of all the Canadian owned Merchant ships lost, as well as a table of RCAF Squadron successes against enemy U-boats. 5.0 out of 5 starsexcellent service.